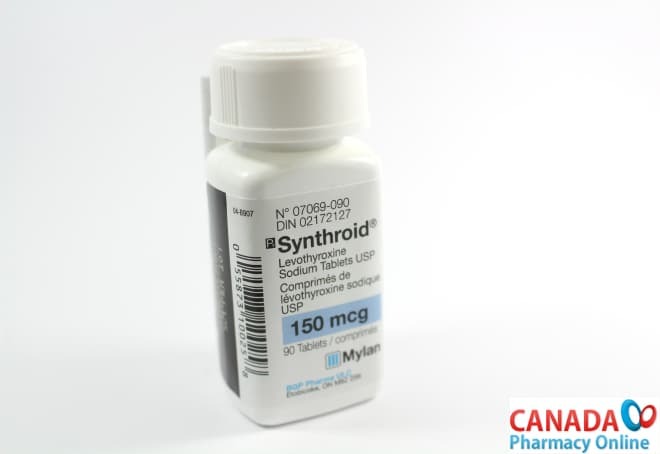 It is available in oral tablet form and comes in variety of strengths: 12.5 mcg, 25 mcg, 50 mcg, 62.5 mcg, 75 mcg, 88 mcg, 100 mcg, 112 mcg, 125 mcg, 137 mcg, 150 mcg, 175 mcg, 200 mcg, and 300 mcg. 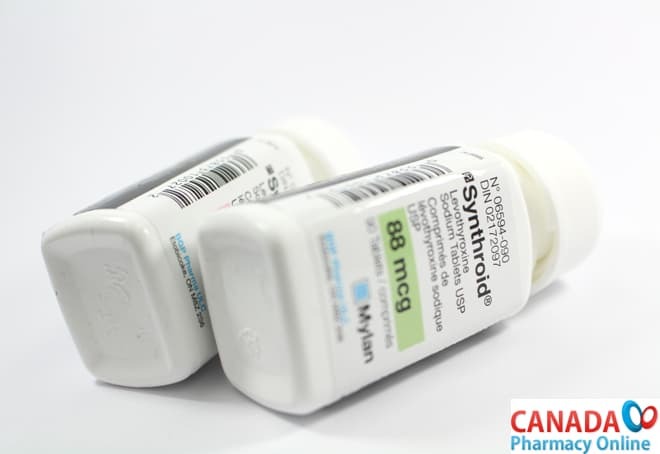 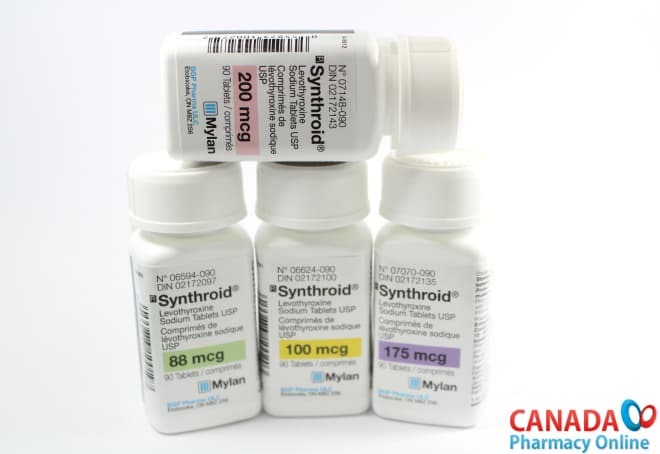 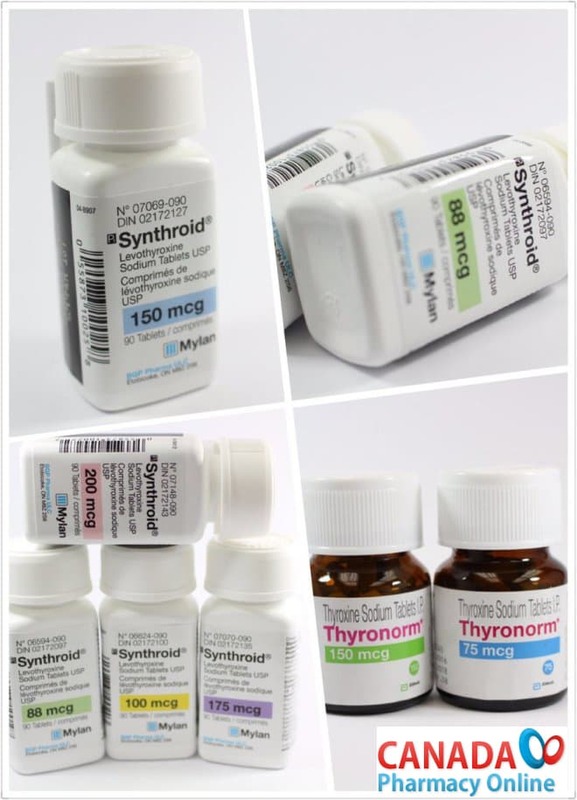 We currently stock brand name Synthroid comes from Canada manufactured by Mylan (division with BGP Phama). 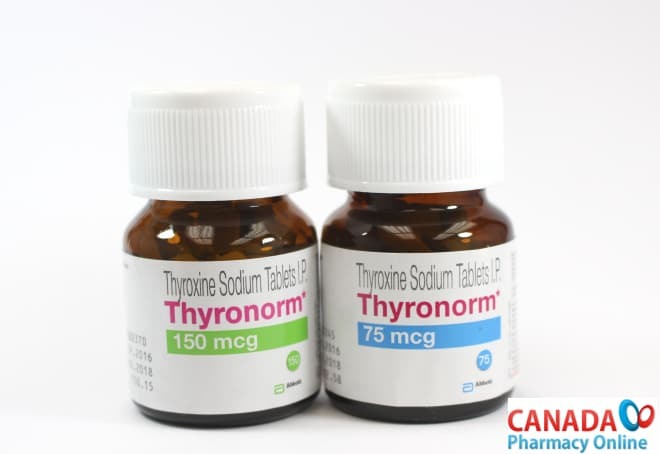 Also, there is another branded version of Levothyroxine known as Thyronorm comes from India manufactured by Abbott.